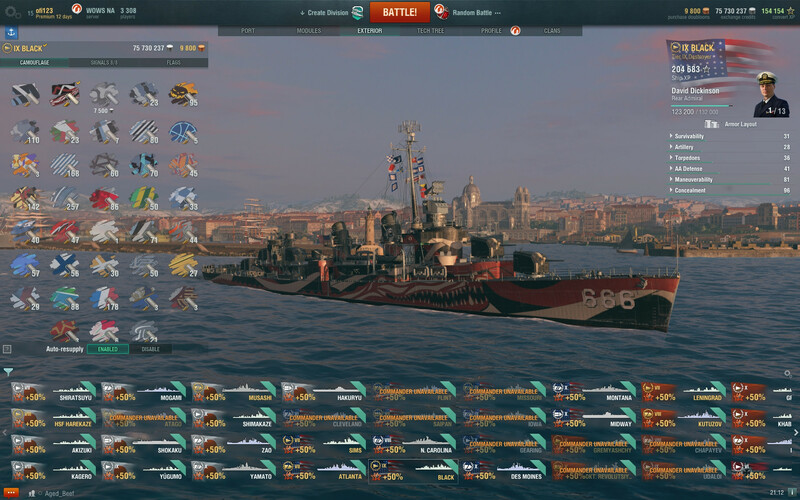 I got it while playing Zao. 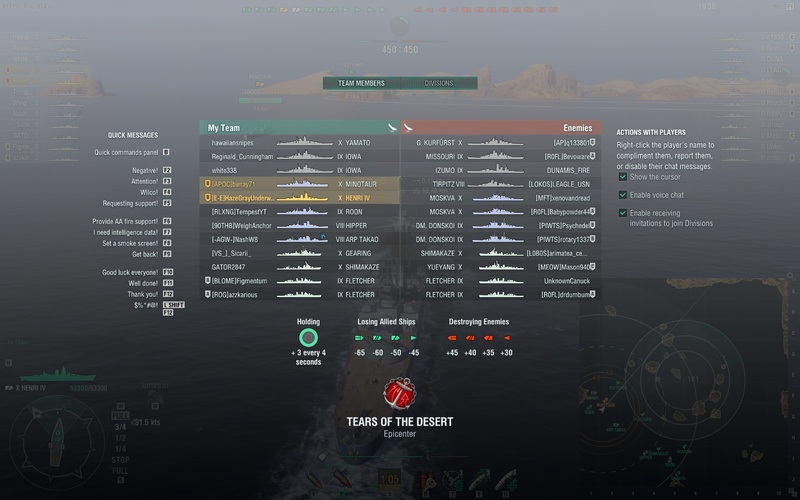 No, I didn't F3 torp someone I was fighting alongside several BBs of our team. It's that part of the match where things are static at long range, but you still move to and fro. While doing this and while being scoped in, I fired a gun salvo but at that moment a friendly Iowa sailed in front of me. I knew he had been on focus fire a while. Some of my shells hit and set a fire, did 9k fire damage, got Pink. No TK, just friendly fire damage. Worked it off quite quickly though. This was from last night. What's wrong with this picture? It's something that Destroyers hate dealing with. Well, assuming your mate in Mino has Smoke, there's no Radars on your side, and five, possibly six on the other, with 11.3Km range. Nothing unusual, it happens quite frequently. Two guesses as who won the round. We lost, but it wasn't a complete rollover. Our DDs did pretty well considering the abundance of Radar. We even had the middle cap for a long time. The problem was our DDs could not hold back the enemy DDs and abundance of Radar. They actually tried to probe and torp to slow the advances down, but DD+Radar was too much. The red DDs were literally able to herd us with Torpedoes, get the center cap. And what do these ships look like with the camo? Here ya go. I derped hard back there. 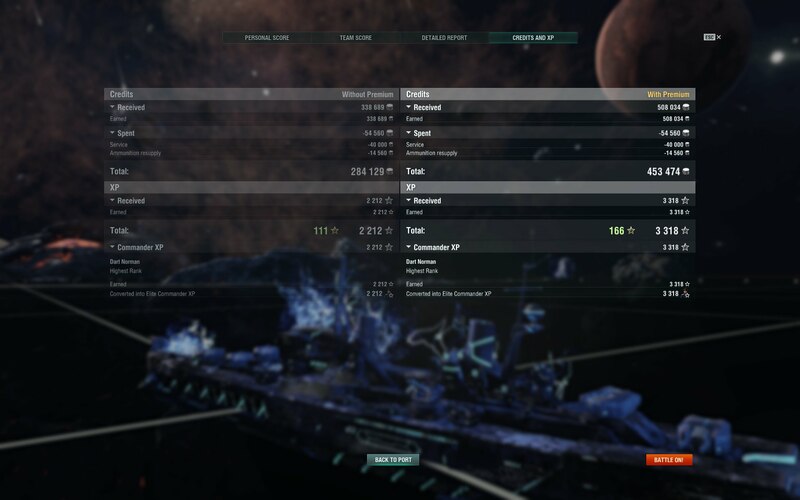 @ofi123 The Potatoes in Space Battles make the Potatoes in Randoms look like Purple Unicums. 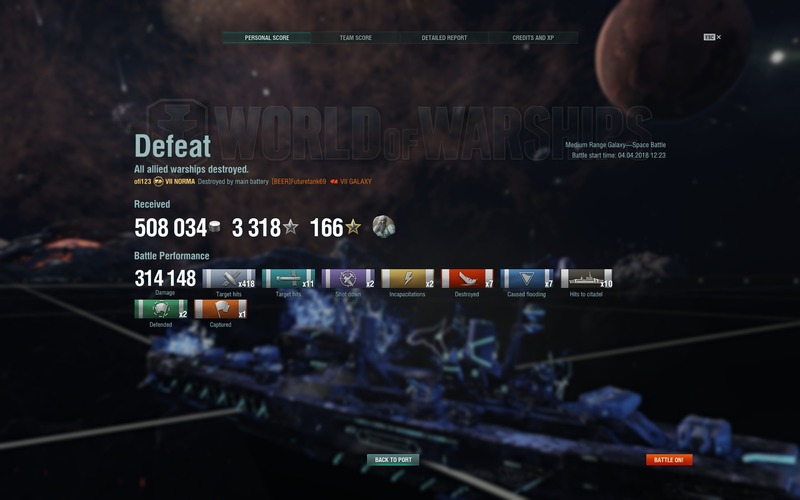 I was getting a lot of torp hits with Space Gearing, and for me to get lots of torp hits as a DD, it speaks volumes of the quality of the opposition. 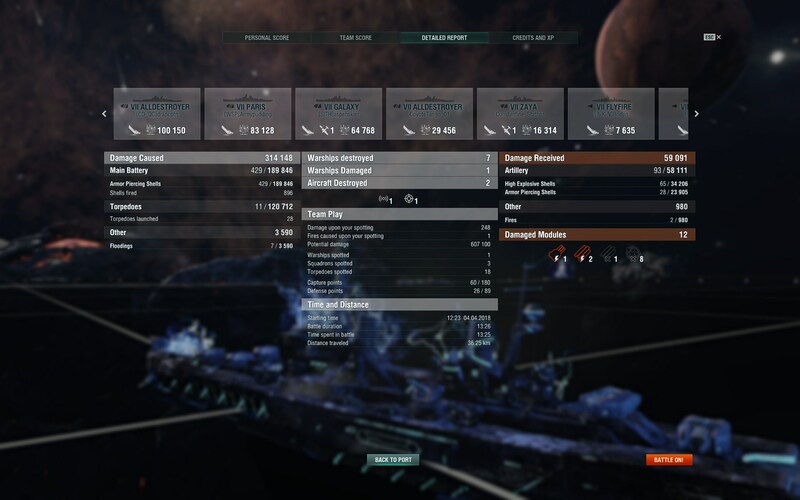 I have crazy visions of what actual, good DD drivers can do in Space Battle. It brings to mind one event when I used Space Gearing. 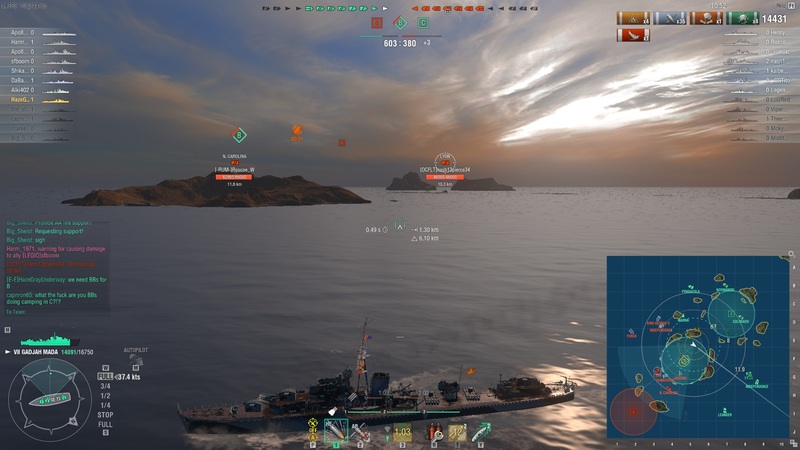 I do a long range torp drop against a cluster of ships that were smoke camping. I drop the torps and turn away. Then around an island corner, an enemy Space Zao comes out, almost gets hit by the torps, but of course he spots them. I figured, "Well, those torps still got around 8km to go, so the reds will see that coming and they'll evade them all." But nope. Those reds get hit by those spotted torps from far away and I ended up getting 5 hits against those clowns. You can do long range drops and have an excellent chance of hitting. Most of those guys in Space Battles don't know the importance of WASD Hax. Another funny moment was using Space Des Moines, going up to a pair of Smoke Camping Minotaurs, pop Radar on them. The 2 idiots don't even move. I aim and blast one Mino, then turn and blast the other one like they were paper targets at a shooting range. They didn't even move. 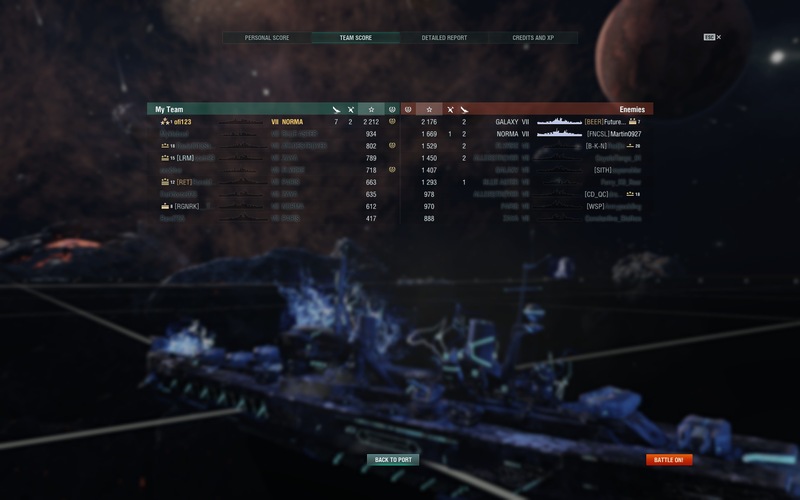 People are just so bad in Space Battles. 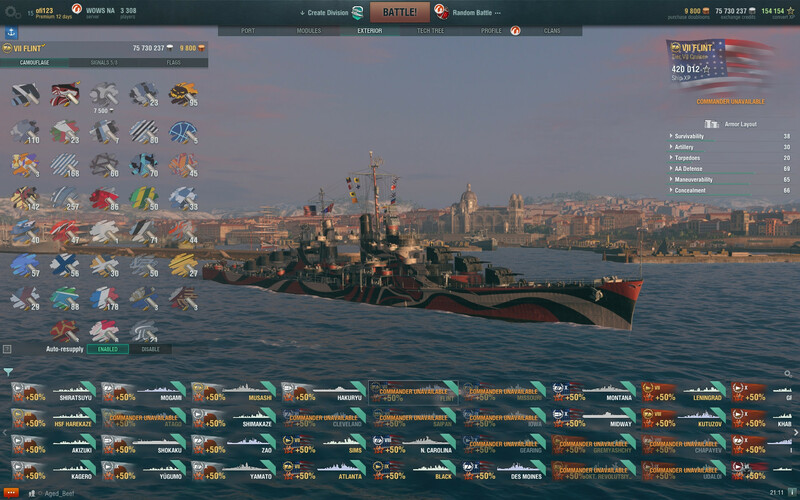 "Why I hate Battleship players." Well, even if it was me I would most likely be at the island in E7. It's several leagues closer than any of our Battleships in this team. I don't expect the BBs to be inside the cap, but their presence near it gives pause to the enemy from pushing aggressively. Not to mention, if they are closer, anything I spot they can more quickly, easily shoot at. Our BBs were so far back they may as well have hit "Exit to Port."